Donated by Leslie from Yonkers, NY. Doesn’t he look thrilled? Will you just snap the pic already? 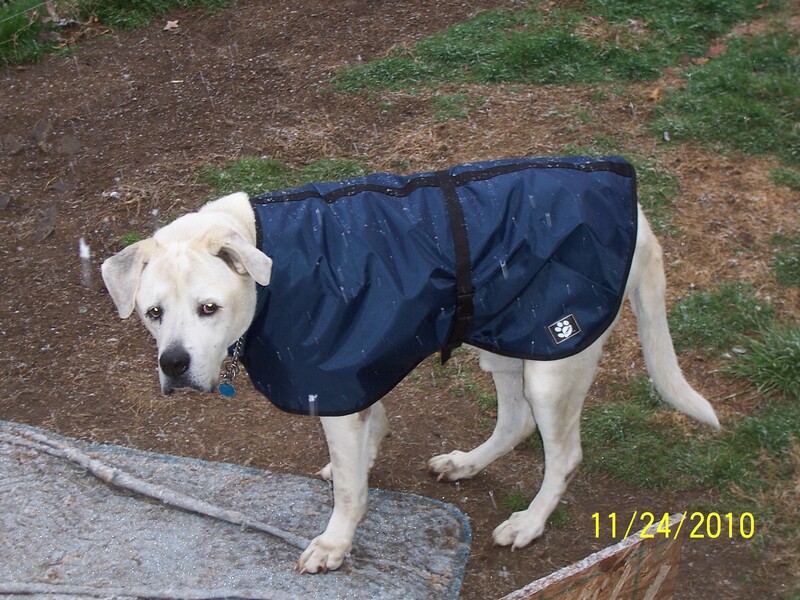 T LOVES to be outside, but his hair is so short and even though he is a GIANT dog, he gets cold quickly. Now he can hang outside longer. Thanks again, Leslie! This entry was posted in Uncategorized and tagged T. Bookmark the permalink.